I’m willing to admit maybe it’s my anti-SEC bias. I don’t know. 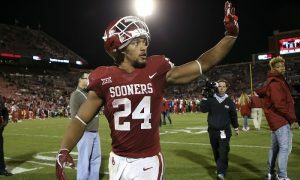 But when it was announced that the Sooners would be landing Alabama back up quarterback Jalen Hurts via transfer, my initial thoughts were that this would not end as successfully as their previous two transfer quarterbacks, Baker Mayfield and Kyler Murray, who each came in and reached the College Football Playoff and won Heisman trophies. Of course, you’ll say Murray came from the SEC, so why not as much bias there? Well I was skepticall, but fine. So maybe it’s my anti-Alabama bias? Whatever you want to call it, I remained skeptical that this could work again for Lincoln Riley. Was he going back to the well one too many times with transfers? 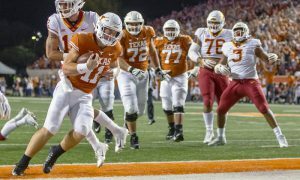 I was even more skeptical considering Riley had a highly-touted prospect in Austin Kendall who had been in the system for a couple of years and was waiting his turn. 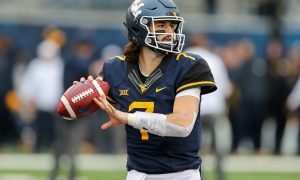 Kendall has since transferred to West Virginia where he is projected to be the starting quarterback. For Murray, I wondered if he had the chops to be the passer that Lincoln Riley expects. He had a rough showing in the 2018 National Championship Game against Georgia, finishing 3 of 8 for 21 yards. This was when Tua Tagovailoa made himself a household name, replacing Hurts to help Alabama win the National Title and never looking back as he secured the starting job in 2018. After Tua suffered an injury, Hurts came in in the SEC Championship Game this past December and propelled Alabama to a come-from-behind win. He finished 7 of 9 for 82 yards with one touchdown. There were certainly signs he had improved as a passer, but I was still leary of his ability and his leadership qualities. 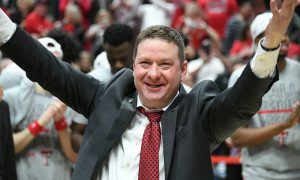 But when Hurts took to the podium this week during spring practice, he sold me. The character, the leadership, the humility. It was impressive and I now see what I imagine Lincoln Riley saw and why he was so eager and willing to welcome Hurts into the OU family. OK, I liked what I was hearing. That’s been the hurdle OU has been unable to get over the past half decade. Can they finally make the leap from not just reaching the College Football Playoff, but playing for a National Championship? Of course the problem has not resided at quarterback, but rather on the defensive side of the ball. 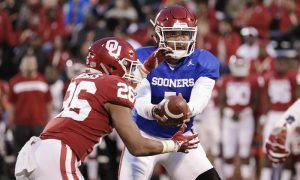 However maintaining the quality play under center is imperative for Lincoln Riley to keep the program humming the way it has since he took over for Bob Stoops two years ago. For Hurts, you could certainly tell he played for Nick Saban based on his beliefs in “The Process” and practice determining your outcome on Saturdays. 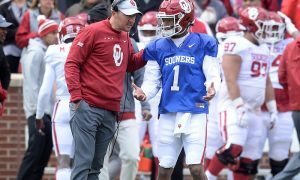 When he spoke about the “new standard” and “holding everybody accountable”, it certainly didn’t sound like somebody who was walking into the locker room and expecting his 26-2 record as a starter at Alabama to simply allow him to coast into a starting job and a fifth-straight Big 12 Championship for the Sooners. 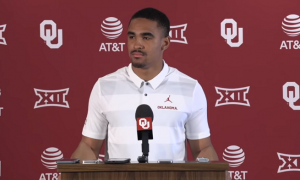 So as this “new” era of OU football begins, albeit in similar fashion to recent years with a transfer (likely) starting the season at quarterback, any concerns I had about whether or not this could work again for Lincoln Riley were put to rest this week. 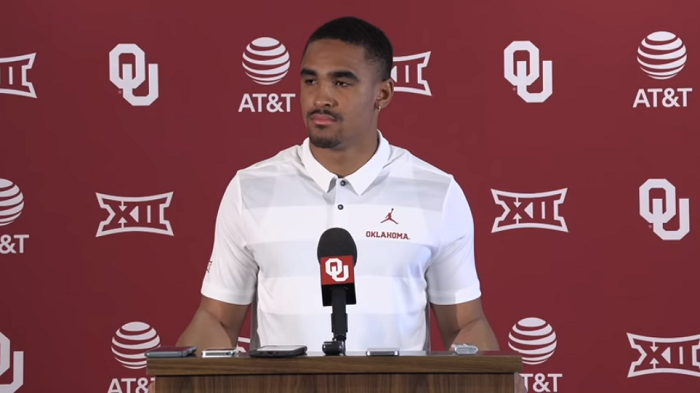 Jalen Hurts has the background, pedigree, humility and willingness to help OU reach the next level. But does that mean they can finally do it? That remains to be seen, but if they don’t, I don’t expect to be placing the blame at the feet of the new signal caller.